Deena Chappell, a IMA graduation who specialized in consciousness studies, came to Goddard as an accomplished musician who has performed widely for years. Listen to an interview with Deena on the Carl Jung Gateway radio show on Blog radio. 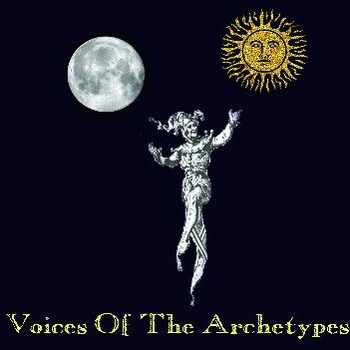 Her new album, “Voices of the Archetypes,” was the central part of her thesis, bringing together Jungian studies, spiritual exploration, and her astonishing and provocative voice and instrumentation. You can also see more about Deena at her website. Born into a family of musicians, Deena has been perfo rming bluegrass, rock, folk, swing and jazz since she was 14. A well-known bass player, she also plays mandolin, sings in a popular swing/jazz duo with Nathan Knowles, and plays in a bluegrass trio, Dirty Old Strings. She’s worked with the Vermont Arts Exchange for six years, offering music therapy sessions with vets, songwriting workshops for children throughout Bennington County, and other workshops throughout the area. This entry was posted in Consciousness Studies/Transpersonal Psychology, Creative Writing, Jungian Psychology, Music, Shamanic Studies, Singing & Songwriting and tagged Deena Chappell. Bookmark the permalink.